Mr. Goro Terumichi, Group C.E.O. of MODULEX Inc.
Group C.E.O. of MODULEX Inc. In this interview for the Worldfolio, Mr. Goro Terumichi, Group CEO of ModuleX Inc., delivers a pertinent critic as to the evolution of Japanese manufacturing, while providing a unique insight into the business model that made the success of his company. Since the rise of Japan’s private sector in the post-war period, Monozukuri has been widely spoken about, but often misunderstood. In recent years, experts have argued that regional peers have copied and replicated the manufacturing processes of Japanese manufacturers. How would you compare Japan’s “Monozukuri” to that of its competitors? This question, and consequently, the arguments of certain experts, contain a misunderstanding as to the concept of “Monozukuri.” Japan’s “Monozukuri” refers to its own awareness of the development and production processes that are strongly backed by the country’s unique culture and character. Therefore, it cannot be compared to the manufacturing or production of other countries with different backgrounds. I believe, as you have pointed out, that “Monozukuri” has developed throughout the post-war period thanks to Japan’s own awareness of its development and manufacturing processes. In my understanding, however, the “Monozukuri” of neighboring countries in Asia-Pacific was based on a different awareness. These countries only introduced quality controls of high standards to meet the needs of consumers in developed nations. They conducted lower cost production supported by wages, commodity prices and rents that were beneath those in Japan. Subsequently, it increased their productivity and overwhelmed Japanese industries. When the “Monozukuri” of Japan’s neighboring countries’ began, they implemented specifications and quality controls to meet the demands of consumers in developing economies. Their “Monozukuri” started differently from Japan’s “Monozukuri,” which was a fundamental awareness with which people voluntarily came up with their own development and production methods, for products with unpredictable marketability. To be fair, looking at the same thing from the opposite standpoint, “Monozukuri” did not develop in Japan out of nowhere. Clearly, it started as an awareness and developed in the post-war period through trial and error, supported by the “historical background” and “economic background” (the “Backdrop”) of the era. In this respect, it can be said that Japan’s “Monozukuri” was not copied or imitated by neighboring countries. Japan’s “Monozukuri” and those of its neighboring countries were different concepts involving different stages and eras. Herein lies a major misunderstanding. If we talk about the last 30 years of the Heisei era, during which the burst and disruption of the bubble economy occurred (not the years of Japan’s postwar recovery), the strength of Japan’s industries has been blurred and its weaknesses exposed. This allowed peers from neighboring countries to compete and overwhelm Japan. In my opinion, Japanese corporations lost sight of what the objective of manufacturing in Japan is. Instead, they focused on recovering from the impact of the collapsed bubble economy, excessively prioritizing profit margin through cost reductions, which resulted in low-wage production, without reviewing or enhancing the strength of manufacturing domestically. In the meantime, our neighboring countries achieved rapid and strong economic growth. The so-called ‘latecomer’s advantage’ in ‘Development Economics’ emerged as remarkable achievements in our neighboring countries occurred. Meanwhile, Japan abandoned its pursuit of the ‘first-mover’s advantage.’ Additionally, we cannot overlook the fact that our neighboring countries utilized the revenue and technology generated from their latercomer’s advantage to grow and develop new and unique industries with their own “historical background”, “cultural background” and “economic background,” and created a unique and great product portfolio. As an example: even though they began construction of communication networks later, the current IT and information infrastructure sector of Japan’s neighboring countries has surpassed that of Japan’s. What must be done for the “Made by Japan” to regain the position it once occupied? 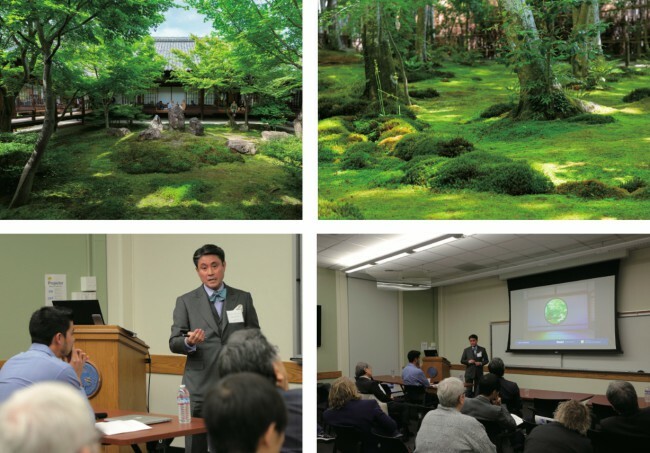 Taking ModuleX’s vision as a good example, I gave a key note research presentation at an academic conference at the University of California, Berkley in November 2018, on natural lighting at Kyoto’s historical temples and shrines. This corporate activity strongly reflected the beliefs explained above. The keys to opening the way for Japan in the 2020s, starting with the Tokyo Olympics, would be to reconsider its Backdrop and strengths, reconstruct the “Monozukuri” of Japan to what is needed in the global market, and present Japan’s new and unique theory of evolution by itself. With this in mind, I believe that the significant competitive advantages of the “Made by Japan” are: 1) fields involving diverse superior Japanese aesthetics, which are backed by Japan’s unique history and culture; 2) fields involving integration of technologies in particular areas, as developed by its matured culture and with the value extracted from the affluence of Japan’s sophisticated society; and 3) fields involving new production activities with big data utilization, which are expected to result in a dramatic increase in productivity even under the constraints of a rapidly aging society and declining birthrate. As to the previous and old-fashioned “Monozukuri,” which is conducted by major and larger Japanese corporations in a capital-intensive manner, it has been overtaken across many fields and for quite some time by neighboring countries’ capital-intensive development and production. In the future, I am sure that Japan will never be able to compete on these fields. However, a “Monozukuri” that focuses on expressing the characteristics of the next-generation of affluence in Japan, with the grown economy and matured culture of a developed country, will demonstrate to the global market the Japanese approach to the future and will create a new horizon that gives Japan the first-mover’s advantage. The affluence of Japan’s matured society must be understood, accepted and respected in a different context from that of Europe and North America. As someone in the business community, I take my responsibilities seriously and I see the affluence of a matured society as a new horizon with significant opportunities. Therefore, I believe that as Japan transitions from a period of high economic growth to the bursting of the bubble economy, and now to a matured society, it will demonstrate growth in a way that is different from those of its neighboring countries, which are undergoing a different stage of development. I believe that Japan can do this through the creation of products that demonstrate the various Japanese affluences as described above. In this respect, I am sure that Japan will feel responsible in making constant efforts to be innovative as a first-mover, and not as a competitor. In recent years, we have seen many Japanese corporations move their manufacturing plants to countries with cheaper labor such as Thailand, Vietnam or China. Why has ModuleX chosen to manufacture all its products in Japan, and what advantage does it produce? As you have pointed out, production bases have been relocated one after another to countries with lower labor costs. However, as recent developments in the Japanese economy have shown, merely seeking higher profit margins is not enough. There have been many cases in which Japanese products failed to be accepted by the global market and suffered major defeats. There are already examples in which corporations have carefully examined what to manufacture, re-considered production in Japan, and finally implement domestic production. Based on my fundamental understanding of “Monozukuri” in Japan, as elaborated above, it is natural to move towards the next level of development to its new uniqueness in order to survive. I believe that this movement will further accelerate in the future. I believe that Japan’s next “Monozukuri” will only emerge after such acceleration. Production with vague and obsolete objectives can never be considered as “Monozukuri”. Production of this kind is one of the reasons why Japan had the bitter experience of not being accepted by the global market and is now facing low growth. In this respect, I believe ModuleX assumes significant responsibilities as a member of the domestic manufacturing industry. On the other hand, we should not forget that Japan should take a role in which it properly understands what needs to be produced domestically and in its neighboring countries respectively, and be proactive in driving “Monozukuri” in the Asian region as “the initiator of objectives” for making products. Rather than viewing things on a country-by-country basis, by exploring ways to collaborate with highly technological corporations that can make added-value products, Japan can initiate a wide-range of collaborations between corporations from Asian countries. From this perspective, Japan needs to engage in more activities that promote value innovation as “the initiator of objectives,” and products will be created by exploring collaborations for such production. I would like to add, in such cases, that responsible “Monozukuri” cannot be achieved without in-depth knowledge on distinct quality assurance and proactive management backed by Japanese experienced production expertise. Since its founding, ModuleX has been a Japanese company that targets human emotions by applying the effects of lights. We gave the lowest priority to the strategic option of securing higher profit margins through relocation of production bases to countries with lower labor costs; rather, we have been strategically focusing on the challenge of creating added-values through which we can receive distinctive appreciation from the global market. Historically, the lighting industry had significantly developed with a focus on Europe and North America (i.e., the industry had been led by Europe’s international development and many lighting methods were developed in North America). In recent years, the lighting industry has been undergoing growth, with vast numbers of new entrants from Asian countries that only ‘imitate’ lighting with devices and pride themselves with lower-cost production. Furthermore, since the emergence of LEDs, the number of new entrants from other industries has rapidly increased moreover. Because of this, I have to admit that the industry has become immature and flooded with products that use lightings merely as a type of semiconductor device, rather than in relation to culture and history of human life. However, we at ModuleX take this as an opportunity and place the highest priority on growing through the objective to produce original devices and value. This is based on the idea that if a company cannot generate superior added value in Japan and simply seeks cheaper labor, it may temporarily enhance its corporate margins, but would not be able to sustain its market reputation properly. At the end, such a company would not grow. Considering potential benefits, I am certain that if ModuleX moved its production bases overseas in search of cheaper labor, the company would only have over-used its corporate management resources. The high reputation we enjoy, as realized by our products which are highly regarded by the global market, would not have existed if ModuleX would have taken the option to go abroad only for lower cost production. Unless it becomes physically impossible to produce in Japan, I believe that intentional avoidance of the advantages associated with overseas production enhances the company’s value and brand. Furthermore, ModuleX is not only a manufacturer that produces and sells lighting devices; it is also a company that provides a variety of added values that enhance the impact of lighting on human emotion. ModuleX conducts corporate activities both as a hardware manufacturer and a solution provider. In Japan, which is the base where the added value is created, the company engages in “editing” activities by examining, disassembling and reassembling the knowledge it has cultivated since its foundation on the effects of lights. I doubt that the best results can be achieved without having a production base that is geographically close to such “editing” activities. Such geographic proximity enables close coordination to provide added value (i.e., solutions to customers) in respect of products coming from the development and production divisions. This is because of the necessity to carefully listen, understand, and arrange what our customers’ want. It is contrary to selling mass-produced standard goods such as lamps or electronical devices. In fact, by forgoing the higher margins associated with lower labor costs, ModuleX has been able to enjoy the much greater advantage of having its divisions in charge of added-values adjacent to the company’s development and production division. In this way, ModuleX has been able to improve its capacity to meet the demands from each customer more appropriately and quickly. Can you tell us more about ModuleX’s unique production method? In terms of product development and production, ModuleX has carefully assessed the high production technologies of excellent parts suppliers in Asian countries and has expanded its transactions with them. As a result of these corporate activities, ModuleX has been initiating and rapidly realizing high added-values in its products with design-ins added in the course of development and production. However, the assembly process of all our products are performed at our factory in Tokyo, as a matter of discipline to clarify where final responsibility lies for our products. We call our brand “ModuleX made in Tokyo” to symbolize this concept. In respect of sales on the other hand, we actively make proposals to customers before finalizing our client’s specifications by substantially incorporating our customers’ demands from the early stage of development and providing solutions (i.e., lighting effects) to optimize their demands. In this respect, we have been working on maximizing the post-purchase value of our products by implementing other design-ins in the course of our sales, thereby providing added value. We are strategically adopting a management method that is difficult to achieve for larger companies, namely, realizing within a single production process completely different types of design-ins in both development and production, as well as added value and sales. To maximize this effect and for purposes of corporate management, keeping both development and production functions geographically close to each other is very beneficial because it reduces gaps in communication and delivers integrated value. It is hard for Japan’s “Monozukuri” to develop further in the current global market simply by reducing production costs, increasing efficiency, and achieving high performance of mere parts. I believe that in order to expand our reputation among our customers as a Japanese company, the crucial factor is restless and continuous “editing” that reconstructs and reintegrates our business model, so as to achieve a consistent system from development and production to value adding, and to after-sales services. Light Plays a vital role in our daily lives and has revolutionized medicine, interior design, art, and continues to be central to linking cultural aspects of the global society. Could you explain to us the importance of lighting in our society and our everyday life? Lighting plays a variety of roles in our lives, beyond mere brightness or darkness, and various methods have been developed. Technically speaking, lights, which simply aim at brightening up, and lightings, which are carefully planned by understanding the significance and background of the various buildings and places, are very different fields. To be exact, ModuleX belongs to the latter industry. That is, the industry that provides a variety of effects and generates human emotion through lights rather than simply selling light-emitting equipment. In our modern world, people spend a large amount of time in buildings. Although buildings protect people from rain and wind with its floors, walls and ceilings, they block out natural light (e.g. lunar and solar lights). The most basic function of lighting is to assist in this aspect. In developing countries, where clothing, food and housing are relatively important, brightness or darkness are essential factors because they determine whether things are visible. In countries that are economically mature, people expect various effects and roles from lighting in the hope of enriching lives in addition to clothing, food and housing. Just as each person has his or her own life, and each country and city has its own culture and history, light is associated with various aspects of life to which there is no one correct or absolute answer. While visibility has an obvious function, I believe that light is important in our society because it is the media through which people find their own enjoyment. In this respect, like the sound becoming music, it is important that light has the capability to intensively inspire human emotion in order to enhance our life. ModuleX’s philosophy is to “continue our endeavor to advance as lighting professionals and be a pioneer of innovative lighting solutions” Could you expand on this philosophy? Our strategy is to seek our own corporate value and corporate activity that do not compete with any other corporation. Simply put, we do not make products similar to others, nor do we have a similar interpretation of the world. Additionally, we constantly strive to improve our corporate capacity to provide unparalleled value that does not exist anywhere else. Compared to 30 years ago, large scale corporations have dramatically increased and are active in other Asian countries. In this market environment, ModuleX is aiming to be an unparalleled, high-quality company that can provide unique value, rather than aiming at and affirming these large scale corporations. Rather than aiming for mass production, greater sales or lower labor costs, I believe that ModuleX can exert its uniqueness by improving its distinctive products and value. Today, ModuleX does not simply sell lighting fixtures. Thanks to your environmental analysis, your interchangeable light fixtures and your lighting simulations, you have truly become a one stop company. Could you expand on your services, and define the true meaning of the ModuleX Integrated Lighting solutions? Among the three points previously listed on the future of the “Made By Japan”, ModuleX’s corporate activity particularly focuses on the following two fields: 1) fields involving diverse superior Japanese aesthetics, which are backed by Japan’s unique history and culture; and 2) fields involving integration of technologies in particular areas, as developed by its matured culture and with the value extracted from the affluence of Japan’s sophisticated society. To achieve these goals, the path of ModuleX’s growth cannot be the development, manufacture or sale of products that are merely devices. Instead, we have to comprehensively improve our corporate value as a Japanese company. Historically, however, the lighting industry has tended to only offer stand-alone values like an isolated island and ModuleX has not succeeded in changing this situation. Given this, we intend to deepen the “integration of values” that cover the whole process from development and production to value adding, and to after-sales services. Additionally, we aim to further provide integrated lighting solutions toward the 2020s by deepening and accelerating collaborations with industries that offer high existing values (e.g., building automation and acoustics). This is the era of smartphones. Sooner or later, the lighting industry must finish this generation of switching on or off. ModuleX sees it as its corporate responsibility to pursue expansion of the “integration of values on human emotions and health” through a customer-convincing way without excessive optimism. In today’s digital world, many innovative technologies, such as IoT and AI, are disrupting traditional industries. How does ModuleX plan to integrate IT technologies in its product offering? Today, IT has greatly progressed. AI and IoT technologies have become a reality and have been socially implemented. Furthermore, their values are widely understood. 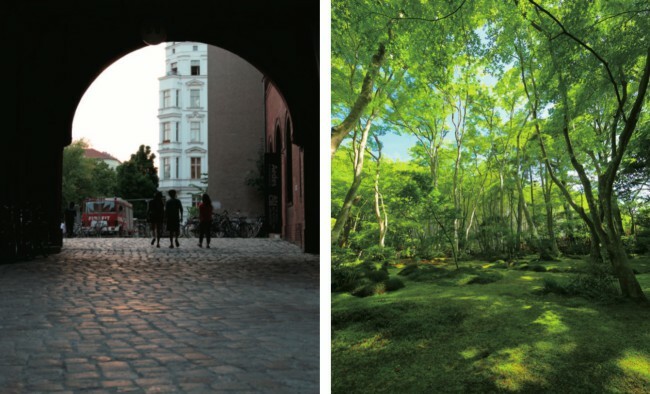 At this time, ModuleX is trying to incorporate these technologies to “achieve an environment that is close to nature” (i.e., close to the original state of human existence). Because of modernization, humans came to spend most of their time in buildings. ModuleX believes that the next stage of human modernization is to make use of new technologies to fundamentally lead a healthier and happier life. We are also advancing our research to realize this as part of our integrated lighting solutions. 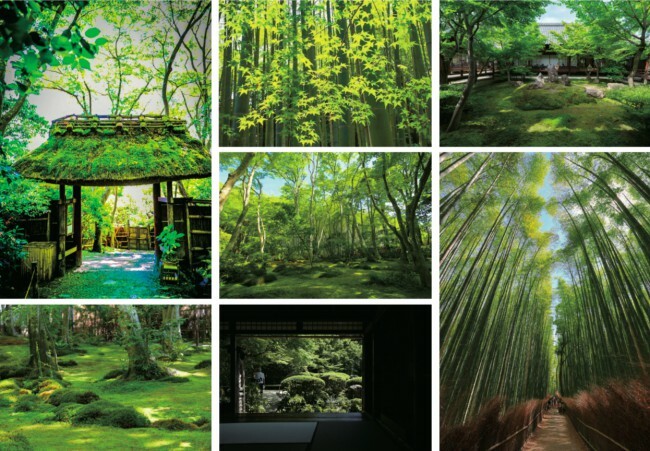 In my key note academic presentation at the University of California, Berkeley in November 2018, I discussed the relationship between natural lighting (not artificial lights) and the architecture of Kyoto’s temples and shrines over 1000 years. In addition to this basic research, we, as part of the added-value integrated lighting industry, are pursuing research in collaboration with various universities in order to implement technologies that are aligned with human feelings and health. These technologies will not be left as odd basic technology. We hope to develop this as part of our added-value system by the 2020s. With Japanese giants such as Panasonic, Toshiba and Sharp still dominating the market, what is ModuleX’s midterm strategy to differentiate itself? If you categorize the market in terms of general lighting, I believe that large scale corporations have an oligopoly in the domestic market. We must acknowledge that these excellent corporations support the foundation of the Japanese and global lighting industries. I believe that they provide the broadest and most general value. However, ModuleX’s corporate activities in respect to “lightings, which are carefully planned by understanding the significance and background of the various buildings and places,” do not focus only on selling products. Instead, its aim is to significantly differentiate ModuleX from other companies by offering various added values based on Japan’s “historical background”, “cultural background” and “economic background.” As an integrated lighting solution provider, ModuleX does not offer general value but highly sophisticated expertise. It cannot be simply said that those large scale corporations lead the industry, and they do not in fact lead the industry. I believe this highlights the true worth of ModuleX. To explain how we intend to provide sophisticated expertise, let me give an example of our efforts. The attached photo shows the library installed at ModuleX’s global headquarters in Tokyo. The books in the library have been selected and edited to cover college liberal arts topics for our employees’ lifelong learning, as well as to enable them to conduct basic research to more deeply understand our customers’ needs. By covering the fields of natural science, social science, and humanities in both East and West, the library also enables us to teach our employees the varied aspects of lighting. Such education gives our employees more awareness as to the range of things that should be illuminated. In this respect, we abide by the concept that Japan’s “Monozukuri” is based on “Hitozukuri (human resource development)” as it has been traditionally. The number of companies that understand this is fewer than people would expect. It is also notable that ModuleX will advance its integrated lighting solutions to deepen collaboration with various existing industries. 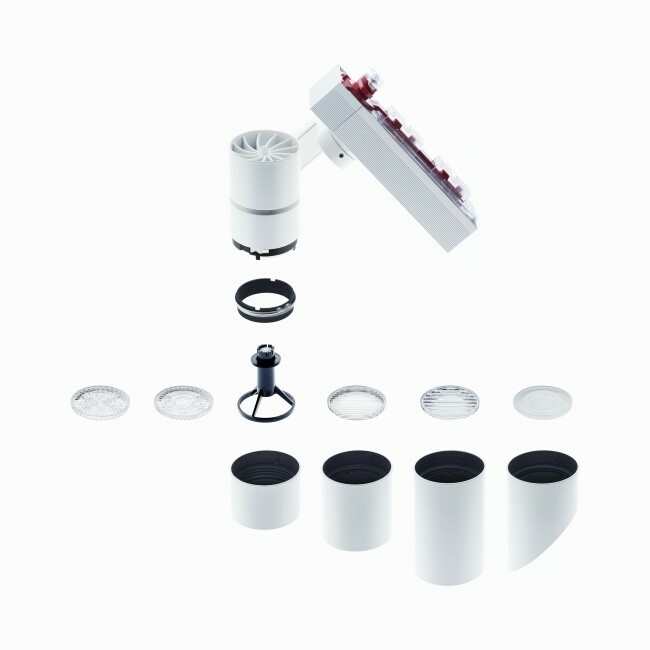 Rather than focusing on individual and unsynchronized products, collaboration between various industries' unique evolutions and ModuleX’s expertise in lighting will further enhance our ability to meet customers’ needs. ModuleX’s attempt to achieve academic-industrial alliance, in addition to its collaboration with various industries, is an obvious strategy in light of its desire to enhance people’s health and happiness using the effects of light. ModuleX’s medium-term management plan expressly spells out the deepening of these two types of collaboration as the pillar of our medium-term strategy. How would you convince a potential client to choose ModuleX rather than a competitor? We do this by improving our skills in listening to and understanding our customers’ true needs, while exploring collaboratively whether individual and unsynchronized products or integrated lighting solutions suit their needs (rather than convincing them of what we think they need). There is nothing more redundant than forced solutions. I believe, however, that if a customer is not aware of something it actually needs, ModuleX can demonstrate its value. We are consistently making efforts to improve our capacity to achieve this. 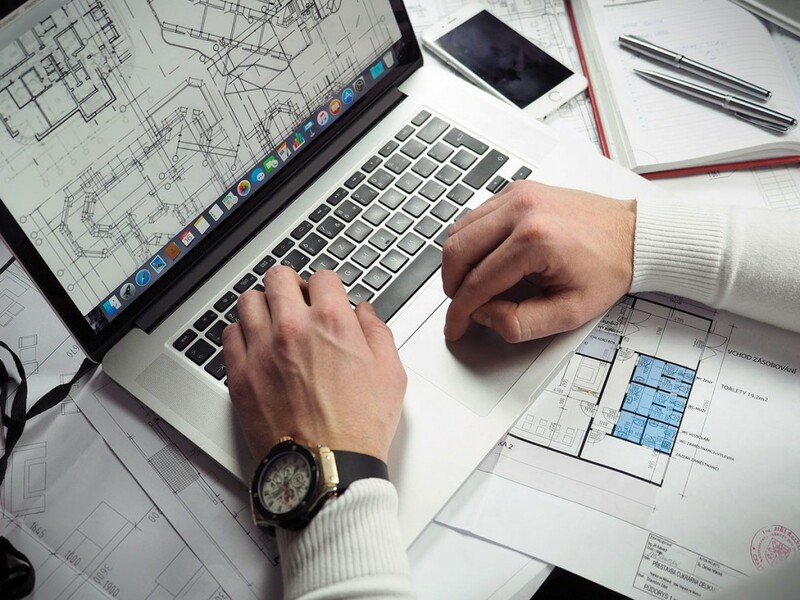 For example: in addition to proposals using architectural drawings traditionally employed in the lighting industry, we are developing imaging techniques with image analysis as a language for proposing integrated lighting solutions These initiatives have enabled our various projects to attain high market evaluation. Even for highly-technical proposals that are out of a customer’s field, we strive to provide an intuitive understanding. We prioritize thinking and exploring with the customer to find the best solution. Throughout the years, ModuleX has expanded beyond the Japanese border. ModuleX has completed projects all around the world and partnered with some of the world’s most prestigious brands. Can you tell us more about your international strategy? We do not abide to the concept of “international.” We focus on understanding and considering the true needs of our customers, and providing them with integrated lighting solutions rather than caring about national or cultural borders. In this respect, we have a strong “global” concept. In addition, we prefer an open strategy to deepen inter-industrial and inter-disciplinary collaborations. Responding to your question on the areas of ModuleX’s growth, it would be all spaces that desire living a healthier and happier life with the use of lighting. I believe that the most important thing for us is to aggressively offer next-generation integrated lighting solutions by adding new learnings to our accumulated expertise, without drawing borders on the market. As long as we choose this path, there would be no barriers and no issues as to where, with whom, and how to conduct our business. Thus, a wider range of possible corporate activities would open up. We maintain the great mindset of striving to create an exciting company that keeps open the possibility of creating new artefacts to inspire human emotions.